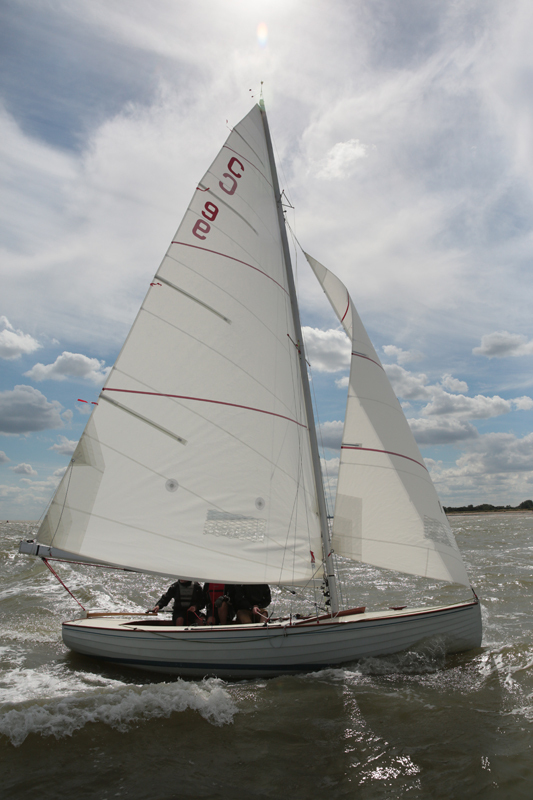 Colin Willett’s C9 Bidi, crewed by his son James and Ray Newman, was the first BOD to hit the race course this season and did an impressive job of winning Easter Sunday’s BSC Easter Eggs Pursuit Race by a comfortable margin. In a light to moderate south westerly Bidi got off to a slightly tentative start, but soon found her rhythm, creating a very nice lead by the mid point in the race. Despite the best efforts of the faster boats to catch her up, she maintained her supremacy and at the traditional post race Easter Lunch Colin, James and Ray all received congratulatory Easter Eggs.